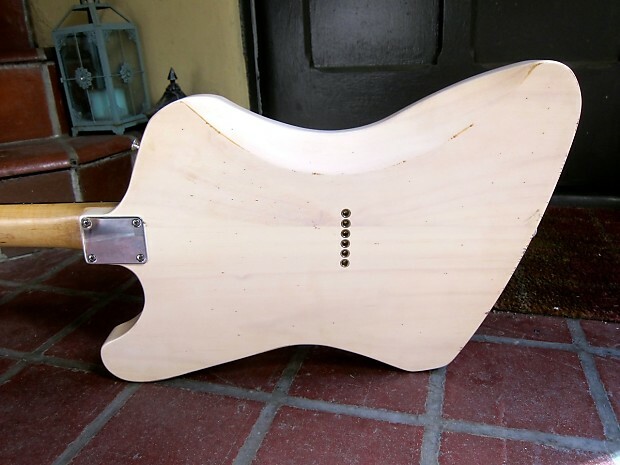 This is my newest Waterslide Guitars instrument, custom-made right here in the USA. 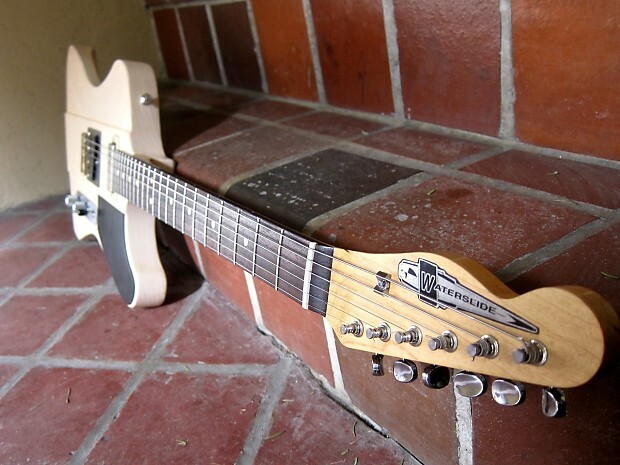 It's a Firebird/Telecaster mashup finished in transparent Aged White nitrocellulose lacquer. 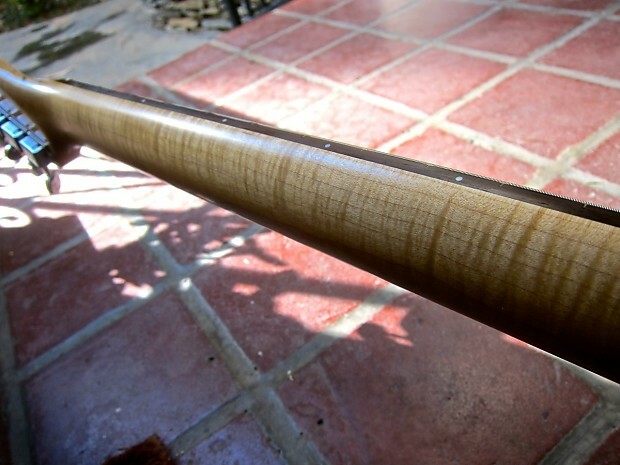 This White Pine body on this has lovely grain visible through the nitro lacquer and it's been lightly relic'd and aged. The whole guitar weighs in at 7lbs 5oz so it's very light for this style of instrument. It resonates very well and the Tele bridge/Firebird mini humbucker neck pickups are a great combo. 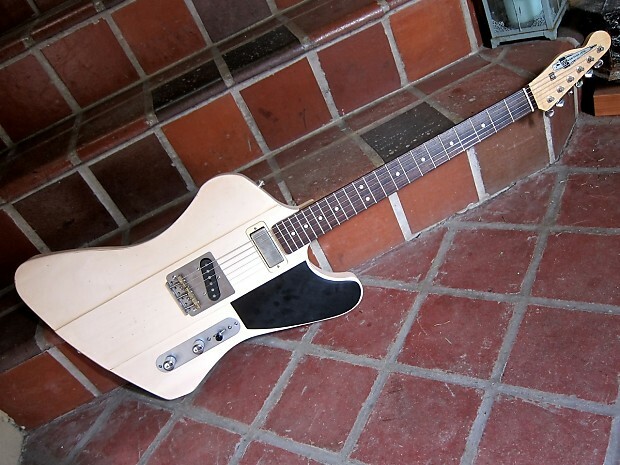 The bridge pickup is a Lollar Special T and the neck is a Seymour Duncan Antiquity Firebird pickup. Really nice clarity and thump out of the two. There's CTS audio taper pots, a 3-way switch, Sprague Orange Drop cap, cloth covered wiring and an Electro Socket jack. 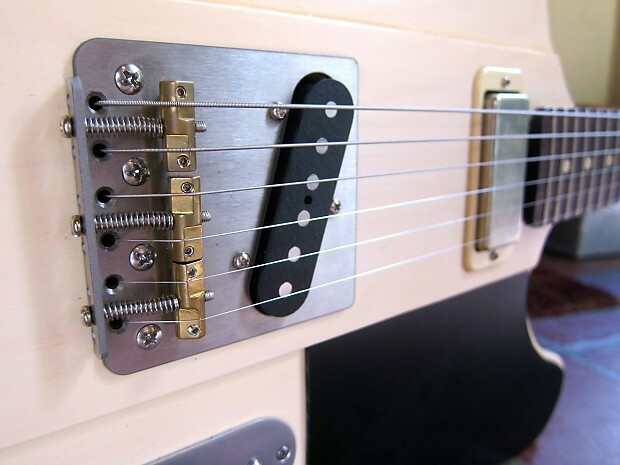 The Tele bridge is a custom design made from 304 grade non-magnetic stainless steel (same as used on Mastery bridges) with compensated brass saddles. This bridge can also function as a top loader if you want to experiment with tone & string tension. The neck is a beautiful Warmoth Indian Rosewood reverse-headstock with really lovely flame to it and a side-access truss rod. It's 1 11/16" at the nut. It has a slim C profile that's .800'' - .850" which compares to Fender's American Standard C shape. 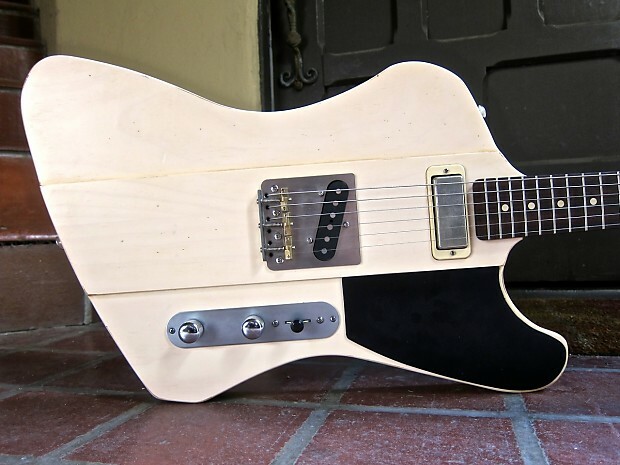 It's got a 10-16" compound radius and 6105 frets. Great parts and great care go into these guitars and this one comes in a high quality gigbag for $949 + shipping. A hardshell case is available for an extra $100. Please email me for international shipping rates.